I have a love-hate relationship with birthday party favors. On the one hand, I think it’s an incredibly nice gesture to give your party guests a thank you gift. But when it comes to kids parties, I know most favors wind up in the trash because they’re nothing anybody would want. 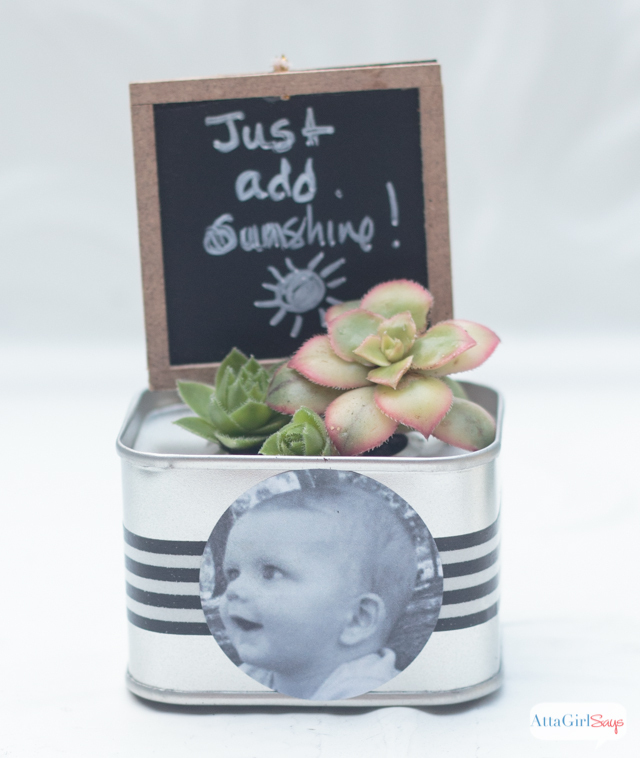 But these mini succulent gardens that can be personalized for virtually any occasion or party theme are definitely keepers. I’ll show you step-by-step how to make them in another live crafting video for Crafty Hangouts, featuring products from OnlineLabels.com. Watch below to see how to make them! Don’t you just love all the possibilities with these? As I mentioned in the video, they would be perfect birthday party favors for a child’s first birthday party or a milestone birthday, like a Sweet 16 or a 40th. You could showcase lots of different photos on the labels. I also think it would be cute to use these as place cards for a dinner party. Just print photos of your guests on the labels. 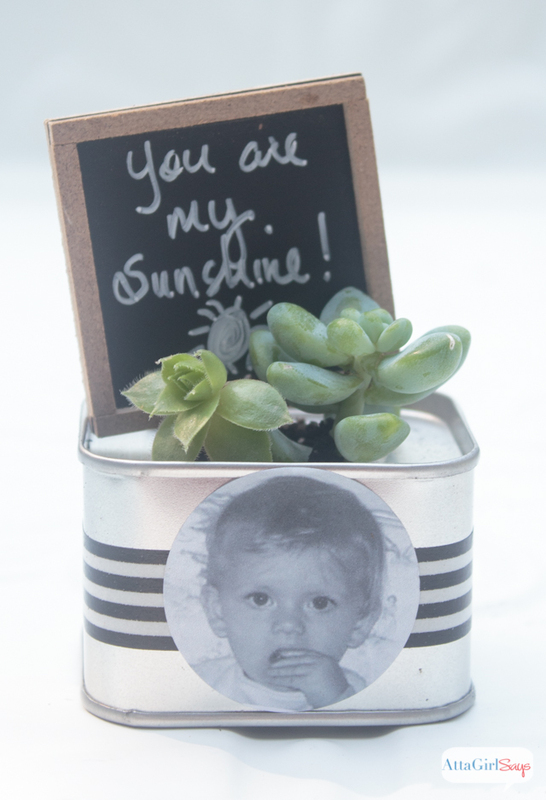 These miniature succulent gardens would also make great wedding favors if you embellish them with photos of the bride and groom. You can really put anything you want on the label and coordinate the washi tape to any theme or color scheme. If you don’t want to go to the trouble of personalizing labels for your party favors, you can use these free printable heart labels I created. 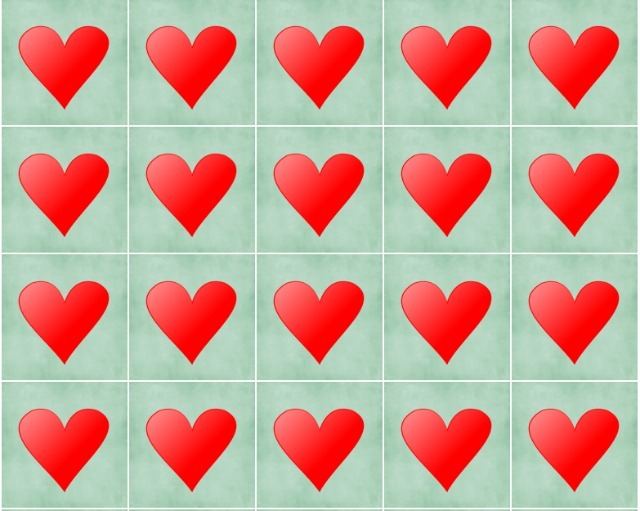 Click here or on the image above to download a full sheet of hearts, which are designed to be printed on 1.5 inch circle labels from OnlineLabels.com. And don’t forget to pin this project so you can save it for later. 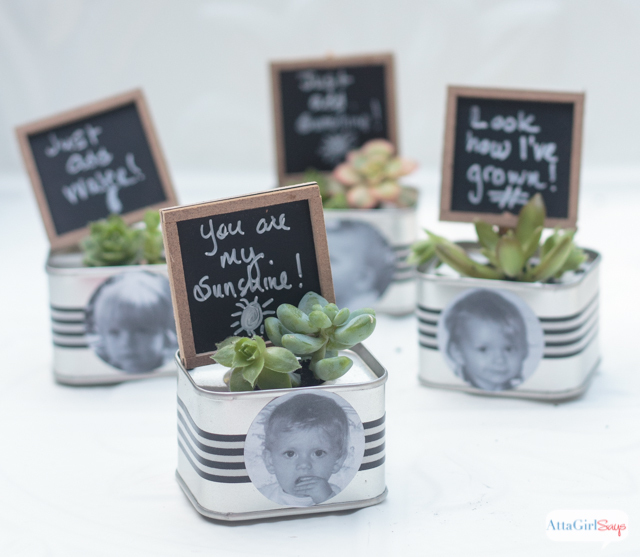 These are totally darling – I have NEVER been to a party where I received such a fabulous favor! Thanks so much for taking the time to link up with us over at the #HomeMattersParty – we hope to see you again tomorrow! Hi Amy – these are so cute! I’m with you, can’t stand the thought of buying and giving out favors that will most certainly end up in the garbage. This darling succulent certainly wouldn’t. How cute this would look on my kitchen window seal. I’m saving this idea for the next party I host! I love hearing this! Hope tpur party guests like their favors.